One thing I, and a lot of other people, would absolutely adore, though, would be a “Backport 2,” bringing 1.13 and 1.14 features (not the major ones; just blocks and items, like you say) to 1.12.2, as most people, including me, play 1.12.2, considering that it is the Minecraft version with the most mods and the most updated mods since 1.7.10. If this is something that you’d consider making, it would be absolutely fantastic. If not, it’s fine. It’s a shame there are no backport mods other than this one, though—at least not that I can find. This mod is GREAT btw keep up the good work! It would be awesome if there was a backport mod for future versions too. 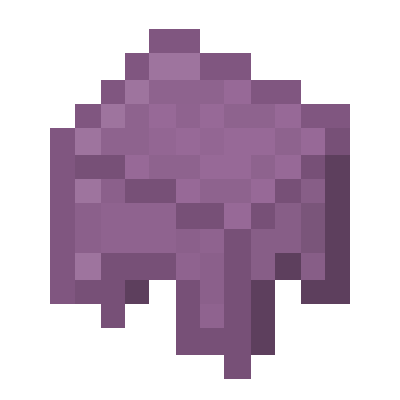 Like 1.12 with 1.13 and 1.14 features, sense forge won't be updating to 1.13 or 1.14 for a while. If there already is one, please tell me. Which versions offer this command? I haven't heard of it before. Can anything be located using that command? The command is added in 1.11.2 and you can locate villages, strongholds, fortresses, end cities, desert temples, etc. You can locate pretty much any naturally spawning structure with it. I tried it out in 1.11.2. I have to wonder what else I have missed. That's a big time saver when I have a project in mind that involves a certain biome or structure. Do you have a YT channel I can follow? I have one, but I never post any videos on it, and its really just so i can subscribe to other youtubers. I will create a Video for this Mod (in German + a subtitle) and I will use this Mod for my Server (-project)! Glad to hear you enjoy the mod! Feel free to send me a link to the video if you want, and I can link to it from here. I may add some of the basic things like slabs/stairs/stripped wood, but by far the majority of the 1.13 update is things like mobs, commands, world generation, and internal changes that are just far too much work to replicate accurately. This all assumes I feel like bothering to work on the mod at all, which at the moment isn't really the case due to other responsibilities. I will probably come back and update the mod based on this list/new features they've added after Forge 1.13 releases, so that I have access to the original source to compare functionality. Assuming I remember, of course. I was blown away at how fast you replied. Thank you for considering! Certainly mod-focused mods can sort out those, and can't imagine people expecting engine mechanic changes [glares at the terracotta-piston corner]. Your block and item backports are seamless, and love will be lapped up. What about the recipe book button in the inventory gui that was added in 1.12.2? I haven't seen anyone bring that back to 1.10.2 yet.